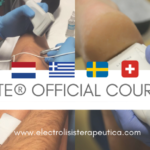 Percutaneous electrolysis course EPTE® consolidates at an international level. This May, the training in percutaneous electrolysis therapy has taken place for the first time in Greece. 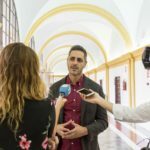 The teacher and physiotherapist Álvaro Fernández Rolle and our partner Ostracon were part of this course. All details below. 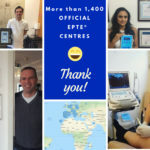 On May this year, the EPTE® Percutaneous Electrolysis technique has moved a step forward on its international journey. 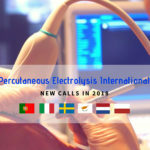 After the completion of courses in countries such as the United Kingdom, the Netherlands, Switzerland, Sweden, Portugal or Italy, among others, this time it was the turn of a new country for percutaneous electrolysis course: Greece. It was the first time that we organized an event for Greek professionals with the collaboration of Ostracon, the new distributor of EPTE® products in both Greece and Cyprus. The event took place the days 19th and 20th of May, consisting of two hours free workshop to introduce the technique for tendinopathies treatment, and the official EPTE® Percutaneous Electrolysis Therapy course in order to certify the first professionals that will apply the technique in the country, taught by the professor Álvaro Fernández Rolle. 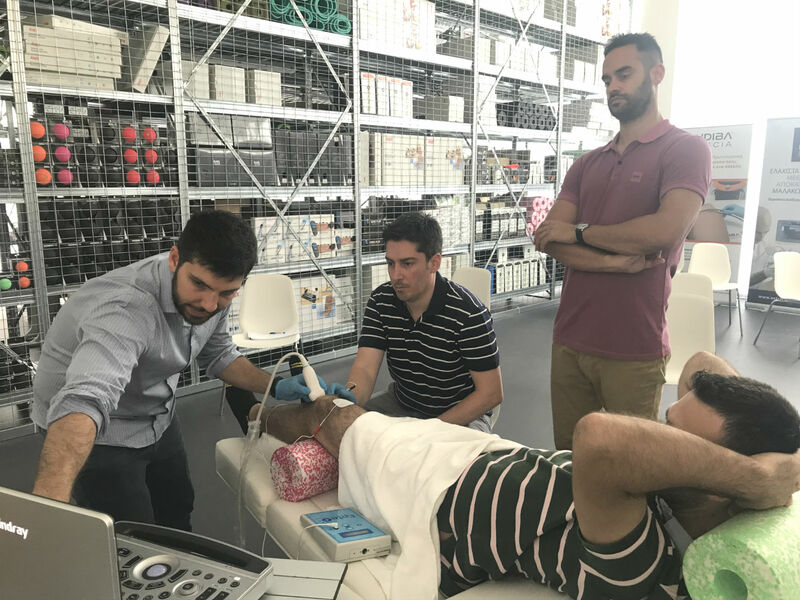 The workshop was composed of an introduction to injuries that can be produced in tendons, the use of a galvanic current for the treatment of tendinopathies and a practical example about the Achilles tendon. 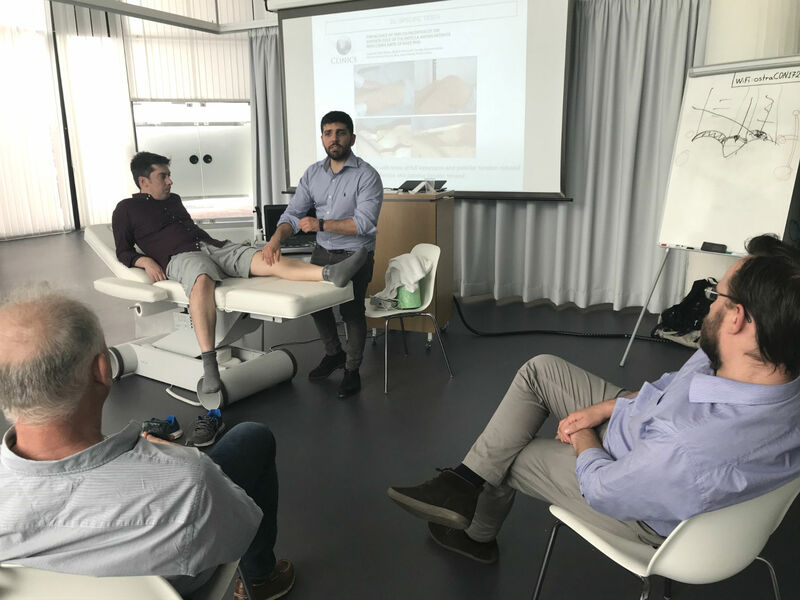 The rest of the weekend was used to delve into this kind of injuries and to explain how to apply the EPTE® Percutaneous Electrolysis technique ultrasound-guided on the five structures taught during the basic course: Patellar tendon, epicondyle, supraspinatus, Achilles tendon and Plantar fascia. 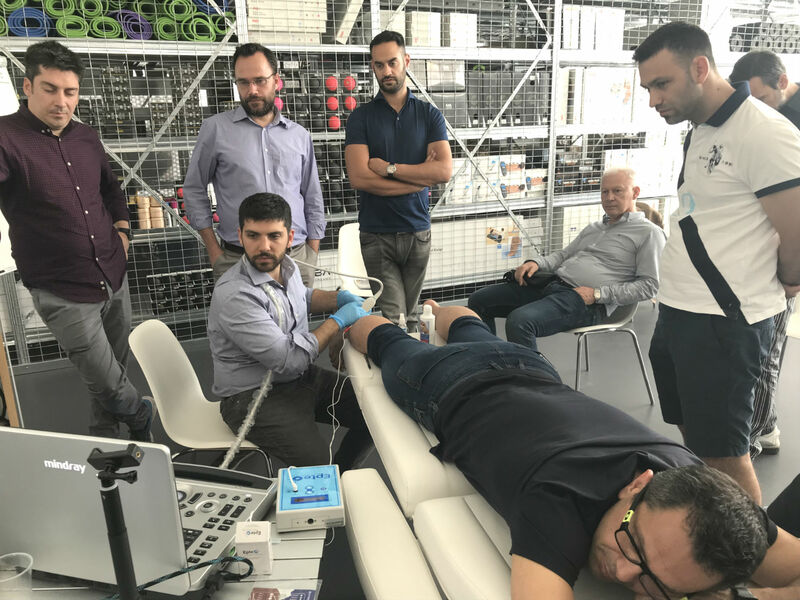 Professionals from Greece and Cyprus attended the course, including doctors from teams such as the PAOK Thessaloniki FC or the PAS Giannina FC, that will incorporate from now on the EPTE® percutaneous electrolysis technique to their therapeutic arsenal to treat the players. 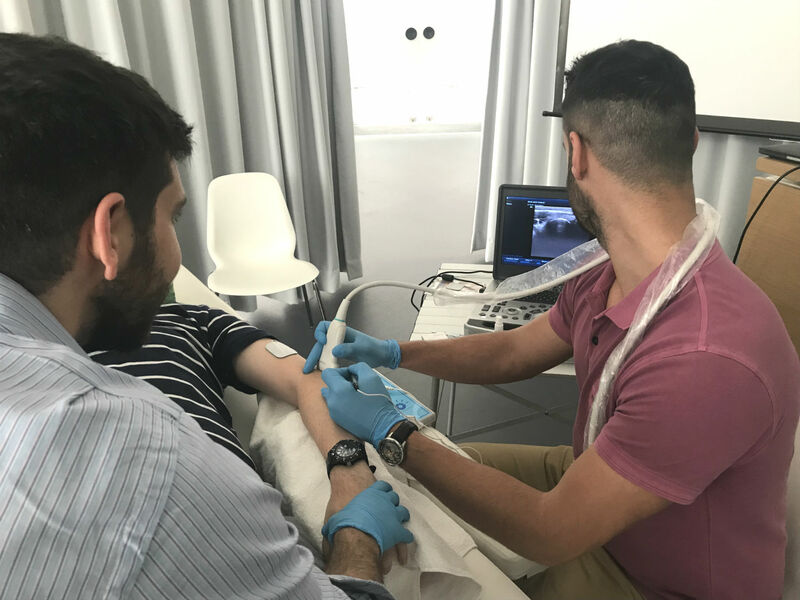 The result of this first Percutaneous electrolysis course EPTE® held in Greece was very positive, with well-trained assistants experienced in the field of medicine, and a very satisfactory collaboration with our partner Ostracon.